The Venti-Scan™ IV Radioaerosol Delivery System features a small baffle within the nebulizer to produce an optimal particle size, resulting in a sharp image, quickly. In addition, the kit includes a contoured filter for trapping moisture. This makes it ideal for radioaerosol studies by impeding humidified radiation from passing through. 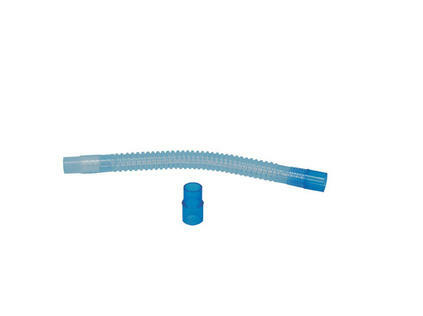 The filter’s contour increases surface area to decrease breathing resistance, making it virtually resistance-free with exceptional trapping efficiency. The Venti-Scan™ IV is designed to make performing a study more convenient for the technologist while providing superior images. When the kit is inserted into the Venti-Scan IV canister it automatically locks securely into position, assuring all port alignments. Oxygen connection is a simple attachment to a dedicated external port. The injection site on the kit is precisely angled to align with the canister port. They are positioned perfectly for a bull's eye every time. The system also offers a quick, safe disposal method. Unplug the oxygen hose, invert the canister over a shielded waste container and push the release button to free the contaminated kit. This minimizes handling and exposure. The Venti-Scan IV shield is completely enclosed providing lead-shielded protection from top to bottom. The Venti-Scan IV Disposable Kit includes everything needed for a single study including a comfortable, natural contour mouthpiece, filter, nose clip and disposal bag. The system uses clean-bore straight path tubing (superior to corrugated) to ensure that particles cannot get trapped in any internal ridges that typically cause clumping. 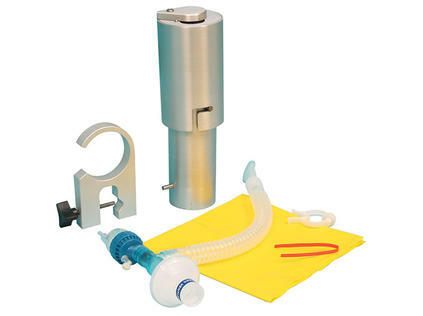 The top of the canister has a shielded sliding port to accommodate the Venti-Pak Accessory Kit for ventilator-assisted patients. 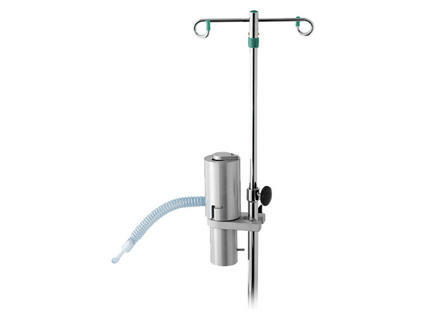 An IV pole mount is included with the shield for convenient positioning and administration. Patients and technologists have always been comfortable and confident with the Venti-Scan. And, when the patient is comfortable, the procedure goes smoothly, without interruption. The end result is a superior study. A recent cost comparison of departments averaging 20 studies per month resulted in an annual savings between $2,000 and $5,000. Venti-Scan™ disposables are already the most inexpensive kits available and can be more time-effective by establishing a blanket order. *NOTE: Each kit is sold in multiples of 10 and 25. **NOTE: Each kit is sold in multiples of 5.